This is Oren neu dag's talk page, where you can send messages and comments to Oren neu dag. New discussion topics go at the bottom of the page; select here to start a new topic. New to Commons? Welcome! Read the frequently asked questions. File:Socialist Confederation of America.png has been listed at Commons:Deletion requests so that the community can discuss whether it should be kept or not. We would appreciate it if you could go to voice your opinion about this at its entry. File:Imperial States of America.png has been listed at Commons:Deletion requests so that the community can discuss whether it should be kept or not. We would appreciate it if you could go to voice your opinion about this at its entry. File:Flag of Soviet Canuckistan.svg has been listed at Commons:Deletion requests so that the community can discuss whether it should be kept or not. We would appreciate it if you could go to voice your opinion about this at its entry. ¿Podrias actualizar el trazado de la bandera? Aunque es una gran contribución al Movimiento Leonesista la bandera que hiciste en 2010, tiene un dibujo que se parece más bien poco a las banderas que realmente usamos aqui. 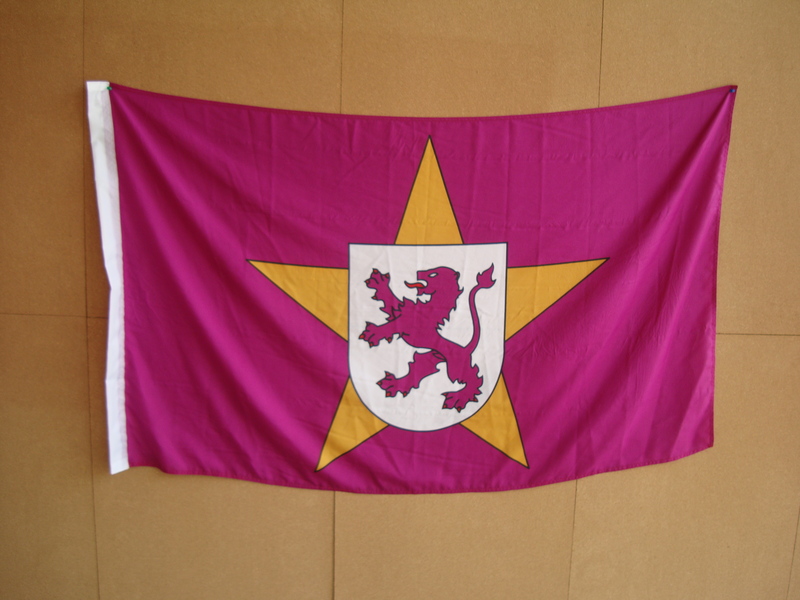 Esto pasa tanto con esta bandera, "La Purpurada" (que es como se llama dicha bandera), como con la que lleva la estrella amarilla por debajo, "La Dixebriega". En ambas banderas se tomo el mismo modelo, y por tanto el trazado tuyo no concuerda tanto ni con la primera (File:Bandera del País Leonés.svg) con la segunda (File:Bandera Leonés con estrella.svg). File:Flag of the Principality of Seborga.svg has been listed at Commons:Deletion requests so that the community can discuss whether it should be kept or not. We would appreciate it if you could go to voice your opinion about this at its entry. File:Commie Democrat.png has been listed at Commons:Deletion requests so that the community can discuss whether it should be kept or not. We would appreciate it if you could go to voice your opinion about this at its entry. Return to the user page of "Oren neu dag".